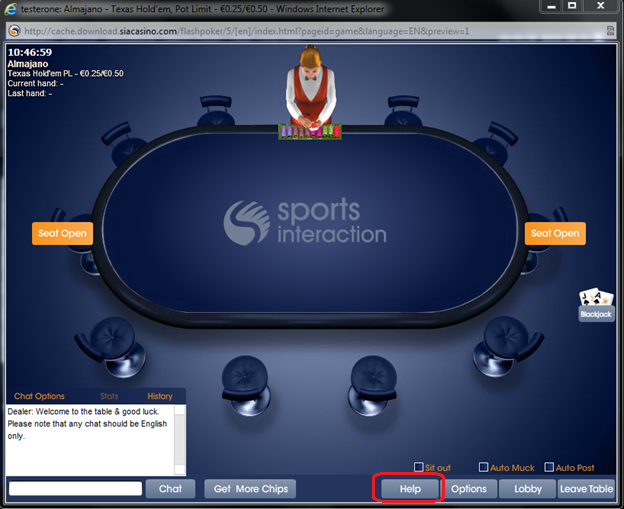 Clicking on "Help" allows you to view the poker game rules. 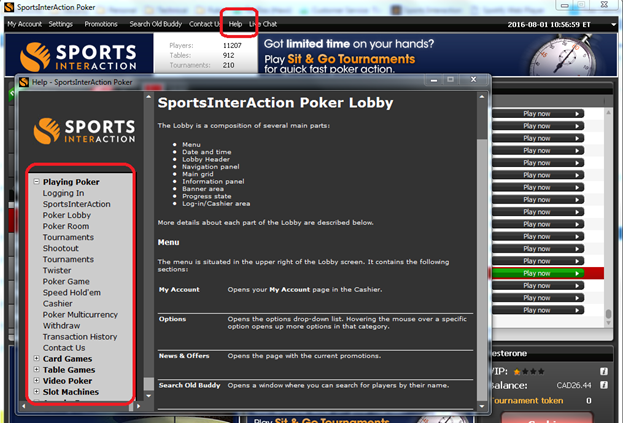 When you launch poker, you will find a “Help” button at the top of Lobby and at the bottom when you're playing at a Table or Tournament. This help section will give you full information on how the game is played and how winning hands are determined and paid.